Wowzers....It is only the 5th of January and I am completely caught up on my obligations with Design work for the month. I was actually able to just play with this one. 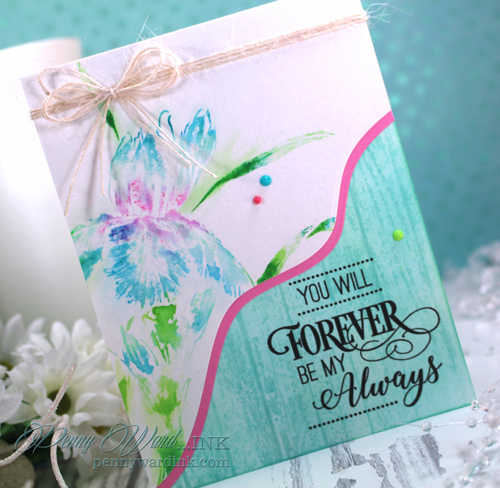 Flower was stamped several times with Memento markers and a Misti tool. Curved edge is one of my favorite diecuts. 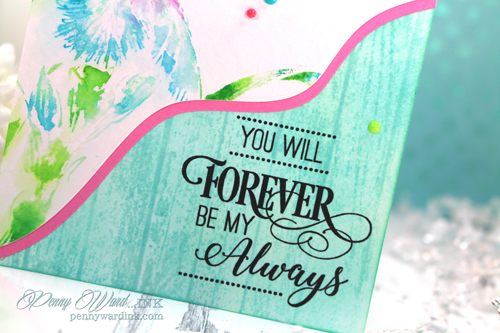 Sentiment from my newest acquisition of Penny Black is stamped with VersaFine ink. So beautiful! I love how you've cut across a bit of the flower, but it still remains in focus! And the sentiment is so beautiful! 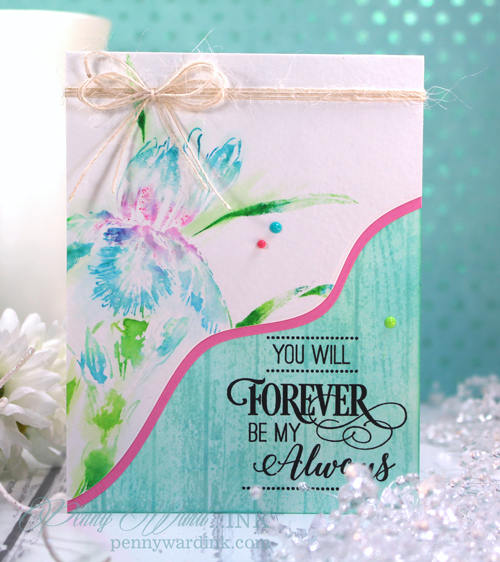 A super floral creation for our challenge this month, many thanks for joining in at Penny Black and More. Amazing creation, loving how you inked up the flower! Thanks so much for joining us this month at Penny Black and More!